These Quilted Bedspreads highlights the beauty of the entire abode. These quilted bedspreads are available in a variety of textures, style, designs and colors. Very stylish and elegant, these quilted bedspreads are wide known for exhibiting variety in styles and colors. 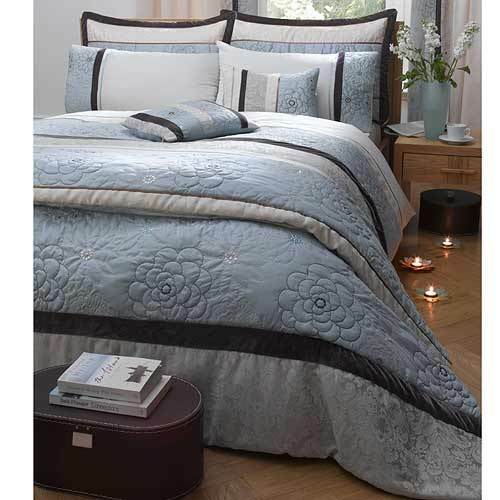 We offer superior quality Embroidered Bedspreads. Our embroidered bedspreads can be availed in various sizes and can be customized as per specific requirement of client. These enhances the beauty and decor of any room. This beautiful Tailored crochet bed Spread come with dust ruffle and crochet trim that complete the look of the most charming bedding patterns that decorate the homes. Further, these can be made available in any color options as required by the customers. Some of the drop sizes we offer these include 14", 18" & 21" and others. Quilted Bedspreads offered by us are made from yarn dyed fabric that is ruffled with split corners. With drops available in different size options, its superior finish standards also make them easily machine washable. The striped as well as other design options these are available in also make them fit customer’s specific requirements. We hold expertise in offering Designer Bedspreads pleated bed skirts that can be designed and fabricated using a wide range of fabric options and fits the demands of king, queen and smaller beds. Fitted with elastic anchors, these bed skirts are also available in wide array of color combinations to choose from. 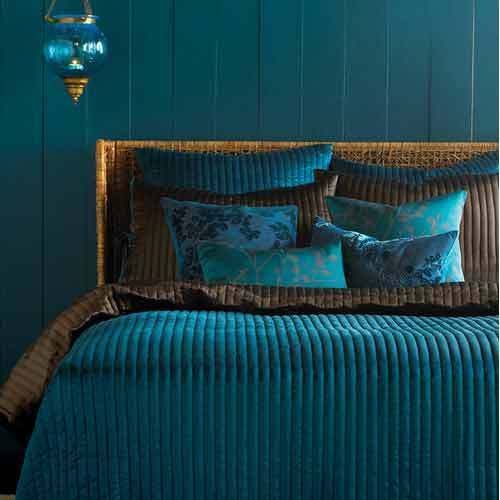 Further, their exclusive finish also adds a distinguished look to interiors and also co-ordinate well with cushions, pillows, throws and other bed material.